Gotham City is not the greatest place for someone who's afraid of the dark. With so many creepy alleys and sinister criminals lurking about, it's usually best to stay safely indoors until sunrise. Luckily, there's one man the citizens of Gotham can count on to protect them who's not afraid of the dark. We're talking about Batman, of course! 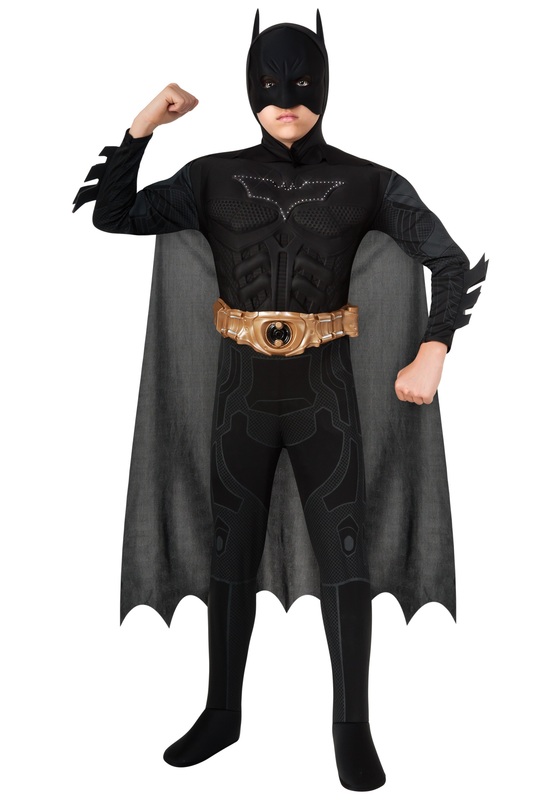 And your kid can suit up and shine some light on the darkness in this official Light Up Batman Costume, just like the heroic crime fighter in the hit movie The Dark Knight Rises! This highly detailed superhero costume is designed to look just like Batman's armor in the movies. It features built in molded foam armor plates on the chest, and even has fiber optic lights around the bat-symbol, so villains know who they are up against, even in the dark! Your little Batman fan will be more than a match for any foes that threaten Gotham when he's geared up in this cool suit, day or night!